TV Talk: "The package is crashing!" So we launched the new website last week and I promised you more behind the scenes action. We've been bringing you many blogs from the road, vlogs from the field... and now I wanted to share with you things that we say around the newsroom... Language we use, for things you watch. Here is today’s "TV Talk:"
After that, they must get the script they have written approved to guarantee sources are correct and information is up-to-date. Once approved, the producer and reporter head off to record/narrate the story... then continue on to the editing bay. Once they get into the editing bay – it’s a race against the clock to take all the images and combine into one video clip. You are literally 'crashing' into the deadline of when the story is needed on the air. Since different people at CNN work on different programs, you'll often hear the following conversation around the editing area. PERSON 1: "Hey, how are you!??! What’s going on? What’s new, how are t...."
PERSON 2: "Hey – can't talk – I'm crashing right now!" …at that point PERSON 1 usually stops talking and backs away slowly as if they have just discovered they are face to face with a ferocious animal. So what happens if we're crashing the piece... and we don’t have enough time to finish? One man's crash, is another man's home stretch..Either way, I guess it means the product is bolting to the finish line. Bolting, but not quite ready for Prime Time? Thanks for the lingo lesson. This should be entertaining. Thanks, David, for always making it so interesting. This is going to be a very cool addition to AC360 site!! David, I really love this behind the scenes info–it must be pretty wild around the 360 studio with all the "crashing" that's happening on a daily basis. You are literally ‘crashing’ into the deadline of when the story is needed on the air. Anderson has said a couple of times on the live blog that he's busy correcting copy or writing some of the script that's fed into the teleprompter or something like that–I may have this all wrong, but it sounds like he's doing a little "crashing" himself during the show. Anyway, this is good stuff, please keep it coming. love to learn new languages, so now we can learn your lingo, too. Must stink when you have "crashed the package" and it gets pushed aside for breaking news or developing stories. Isn't live television exciting? I have been involved with live theatre but live T.V. must be the ultimate. Do you guys have high blood pressure? You all are good at pulling it off or, really cover well. Keep up the good work and thanks for keeping yourself honest! David: Oh, thanks for the cliff hanger! You must enjoy "teasing" the viewers. 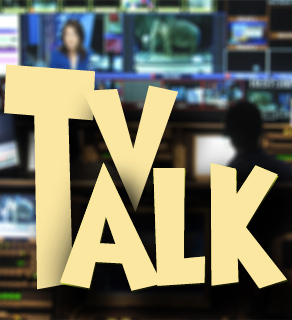 Joking aside, TV Talk sounds interesting....so far you got me hooked. I'll tuned in tomorrow. Intrusting that you’re doing this. I like it. I don’t like the little cliffhangers. Stay tuned same bat time tomorrow…. Come on. That’s little cheesy for me. Why chop up it up like that? It’s irritating. Just give me the facts now. I’m not going to check every day to find out why, or even click to read your pieces in the future knowing your chopping up the story. And if you continue to do it that way its to bad. It started out a good idea. love it, we have that here at work but it's a ninja turtle action figure, if his blades are out ... back away, if they are tucked away safely approach, but be forewarned that the blades can come out if you linger for a long time. love it, keep it up i love this behind the scenes stuff! Looking forward to more lingo tomorrow. Much like with a car, crashing doesn't sound like a good thing.